We serve sushi and asian cuisine, our menu consist of our Chef's Signature Roll to sushi list from the sushi bar. We have a full collection of wines, sake and import beers from Japan. 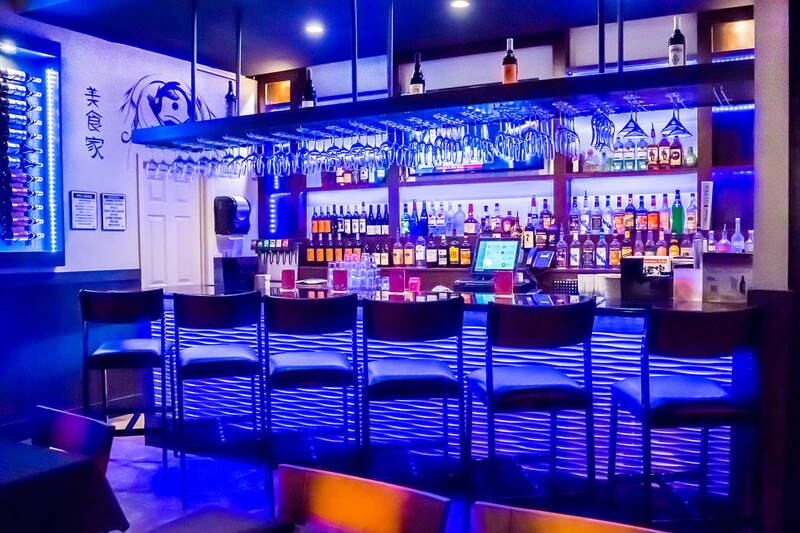 Kawaii is an elegant Japanese and Chinese inspired, authentic, family owned and operated restaurant; it’s a nice family friendly environment, yet classy and refined-perfect for a night out or a romantic evening. Honor is taken from ownership to every employee to ensure every customer has a terrific dining experience for the fraction of the cost combined with professional service and a well-trained and respectful staff. 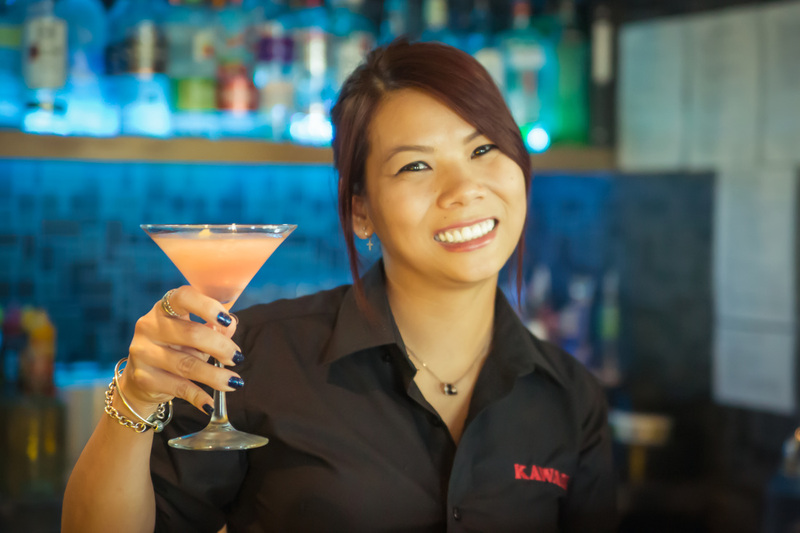 Kawaii General manager Kelly has over 15 years of serving experience, and she is a certificated bartender familiar with wine and sake enabling her to help you pair your meal with the perfect accompaniment. Kawaii Head Chef Raymond Wang and Lisa Selamat have over 30 years Cantonese cooking experience creating their own Kawaii recipes that are the key formula to the restaurants unique flavorful dishes. Bruce Lee is Kawaii’s Head sushi chef and learned his sushi skills from chefs with 25 years of traditional Japanese sushi experience, his talent and creative will look to the future while recognizing traditional favorites personalized individually for any customers special needs. 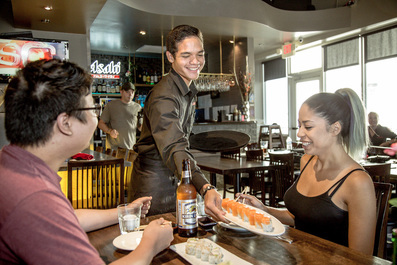 At Kawaii, great pride is taken in the ingredients used as only the freshest high-quality fish, meats and vegetables are selected, no MSG or additives and our chefs always take great care in handing and in the preparation. All Kawaii employees are thoroughly educated about food safety, and discussing allergies like gluten or nut allergies as examples. Kawaii intends to always be doing something to improve the environment and the ambiance inside and out it’s doors. Winning the approval of its loyal customers and local neighborhoods with the Maricopa County Environmental Services Department continuously awarding it an A+ rating. CBS 5 news also rated Kawaii’s kitchen 5 stars clean. It’s these minor details that have grown our customer base & maintained wonderful relationships with existing ones. These little things mean the most to Kawaii because it is the difference our customers notice and taste when they chose to dine with us. At the core, this is the true credo and mission statement of Kawaii. It is by these standards we pledge as a team to make a commitment to excellence and a noticeable difference striving to always do our best for our friends, family, and customers.